Bat invasions can be more common and more dangerous than people think. Most people know that bats can transmit rabies with their bites, but not everyone is aware that bats can spread other diseases via their droppings. The greatest danger that bat droppings (also called guano) pose is histoplasmosis, which is caused by a fungus that grows in the feces of infected bats and other animals. The fungus can also be present in the soil and the droppings of infected bats can spread the fungus wherever the bats spend time. In some severe cases, histoplasmosis can lead to death. 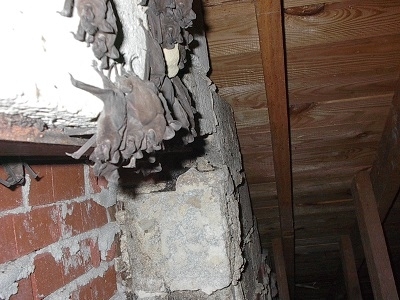 That is why it is important to contact a professional as soon as you notice signs of a possible bat infestation. Because of these health risks, homeowners should never try to clean an area with large amounts of bat guano. Leave it to the professionals at Critter Control® of Gainesville to not only clean up your bat mess but remove bats altogether. If you have questions, concerns, or would like to schedule a free consultation, call Critter Control® of Gainesville today at 352-372-3922.